You are viewing all posts published for the month of septembre, 2017. If you still can't find what you are looking for, try searching using the form at the right upper corner of the page. 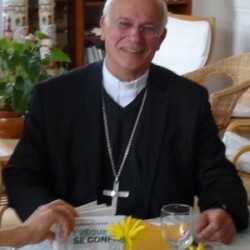 19 septembre, notre évêque, Mgr Stanislas Lalanne est venu faire la connaissance de la nouvelle promotion !